Really, what goes better with turkey than a nice glass of wine anything? 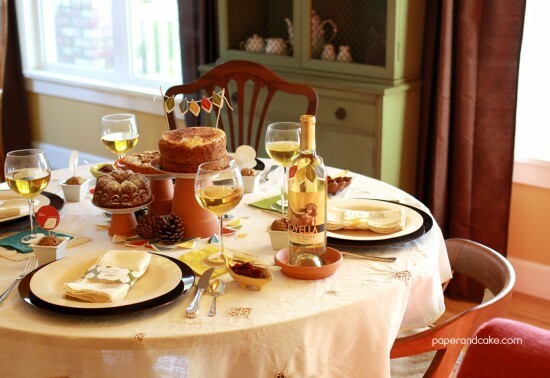 Why not serve up your favorite beverages to guests in festive stemware embellished with some free printable wine glass tags! 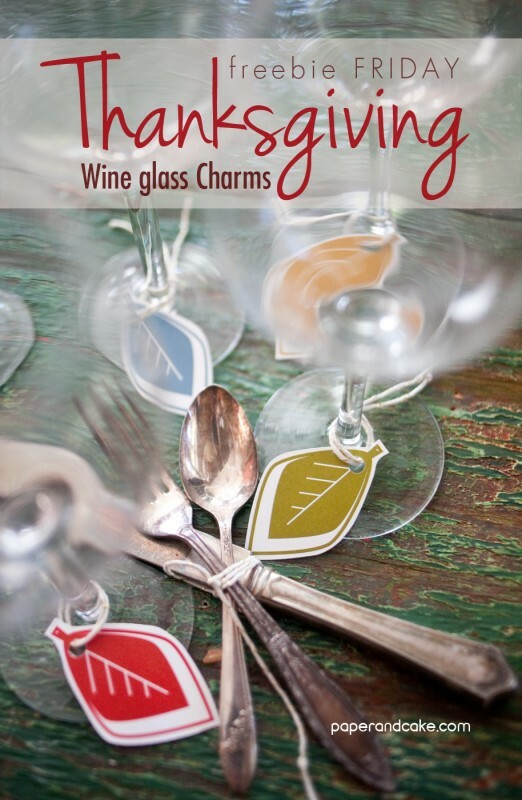 It may also help some adults to pick their glass out of a crowd – you can even write names on the backs of the leaves if need be. 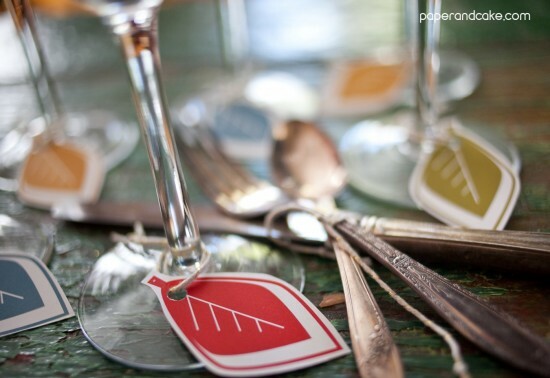 The BEST part about these wine glass tags is that they match perfectly with our Mod Fall Thanksgiving Printable Party set. Perfectly. Just download, and print on any paper. Cut them out with scissors or an xacto knife, hole punch and add whatever string, ribbon or twine you have lying around. What’s next? Well, consider purchasing the matching Thanksgiving printable set – it has got everything from place cards to leftovers labels that will make this your best (decorated) Thanksgiving yet!